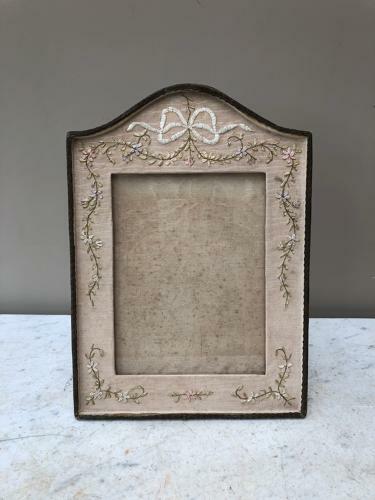 Wonderful & Large, Edwardian Hand Embroidered Silk Photograph Frame. Very good condition frame. It has glass and the back lifts up to insert a photograph 9" x 7". There is an easel stand and also a loop to wall hang if preferred. The little brass turn locks ideally need tightening to hold but I think if there is more inside it will hold better anyway - and of course once the photograph is in you can tape the back as you a picture anyway.